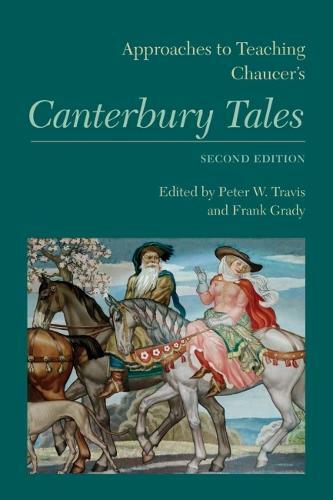 Chaucer's Canterbury Tales was the subject of the first volume in the Approaches to Teaching series, published in 1980. But in the past thirty years, Chaucer scholarship has evolved dramatically, teaching styles have changed, and new technologies have created extraordinary opportunities for studying Chaucer. This second edition of Approaches to Teaching Chaucer's Canterbury Tales reflects the wide variety of contexts in which students encounter the poem and the diversity of perspectives and methods instructors bring to it. Perennial topics such as class, medieval marriage, genre, and tale order rub shoulders with considerations of violence, postcoloniality, masculinities, race, and food in the tales. The first section, "Materials," reviews available editions, scholarship, and audiovisual and electronic resources for studying The Canterbury Tales. In the second section, "Approaches," thirty-six essays discuss strategies for teaching Chaucer's language, for introducing theory in the classroom, for focusing on individual tales, and for using digital resources in the classroom. The multiplicity of approaches reflects the richness of Chaucer's work and the continuing excitement of each new generation's encounter with it.